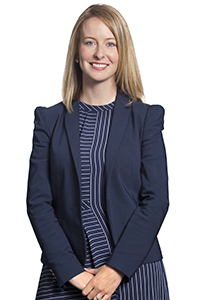 Strategic and tactical, Erin brings a wealth of education and experience from the non-profit and hospitality sectors. Team-minded and skilled at managing multiple stakeholders, Erin is an integral part of our high performance team, lending her bilingual capability to further enhance our client service. Previously a Program Coordinator for a national not-for-profit organization advocating and promoting bilingualism through the creation of learning opportunities within the Canadian School System, Erin honed her organizational skills facilitating various community programs to further the cause. She also served as an administrator for a local union office. Erin holds a Bachelor of Arts and a Bachelor of Education, Secondary Education from the Université Sainte-Anne and a Certificate in Human Resource Management from Saint Mary’s University where she was the recipient of the Hermann Schwind Medal of Outstanding Achievement in the Human Resources Program in 2016.